1. 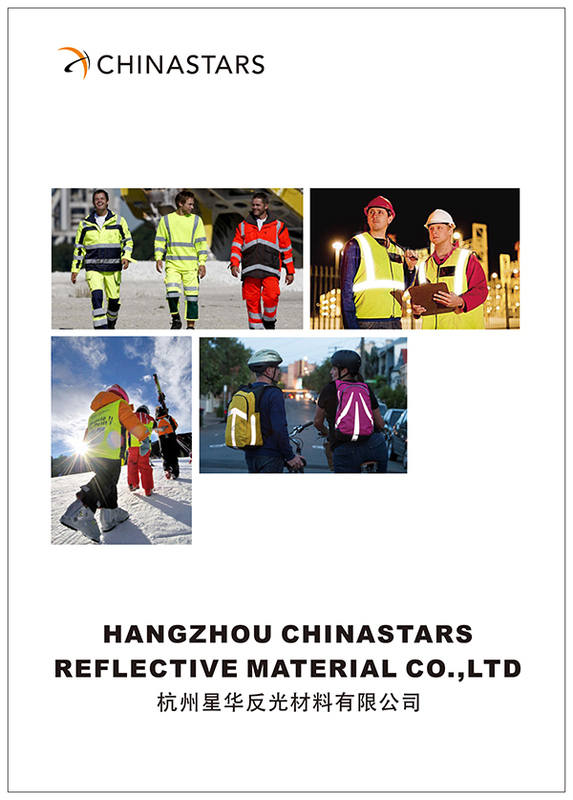 It is a great reflective raincoat designed especially for motorcyclist, which provides maximum visibility and wet weather protection for drivers who have possibility on roads, highway, construction site and other outdoor area when rains. 2. 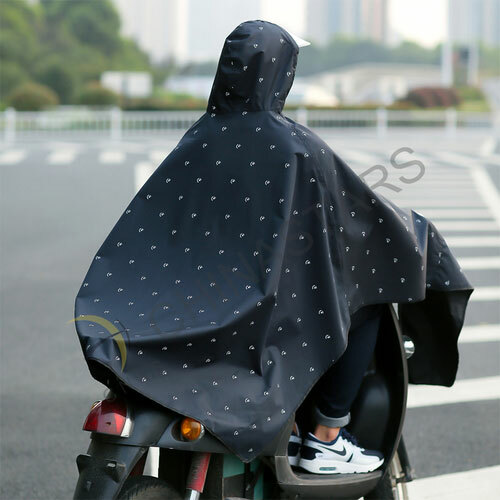 This awesome motorcylce raincoat comes in 2 colors, black and dark red, and would be perfect in your high-vis collection. 3. 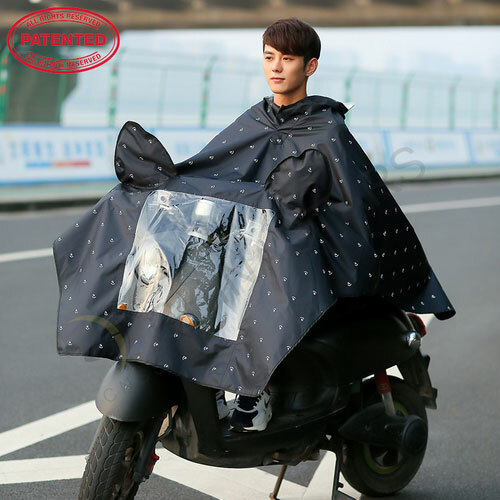 The raincoat thoroughly covers your entire body and it has a transparent PVC material on the front lap for the head lights of the motorcycle. 4. The waterproof hood designed with two snaps and a see-though PVC material, which will not obscure your vision of the road. 5. 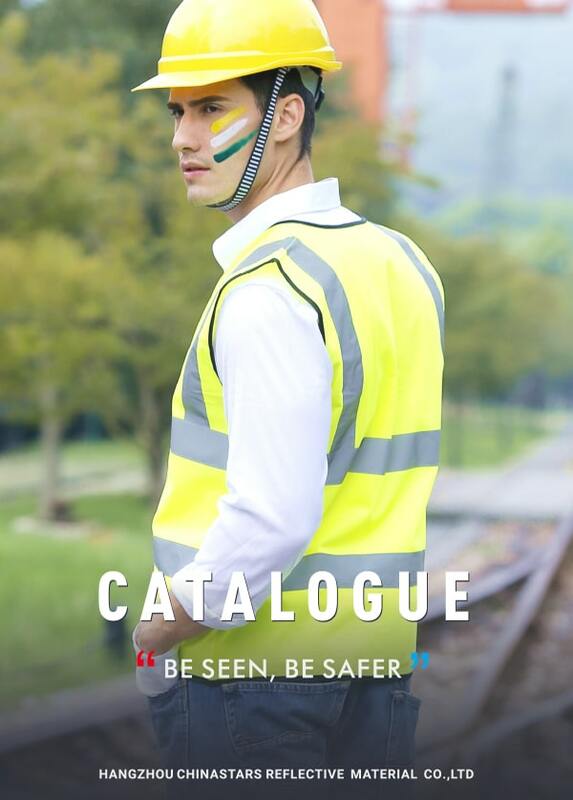 Reflective material on the body and hood help you to be seen from 360-degree direction. 6. made from high-quality waterproof fabric which is soft and durable that can last a long time. 7. Logo imprint is available! You can also customize your own raincoat by changing the color, reflective parttern, fabric etc. We keep stock for regular styles, and can send out as soon as possible.